Students often change classes during the year depending on their subject choices. 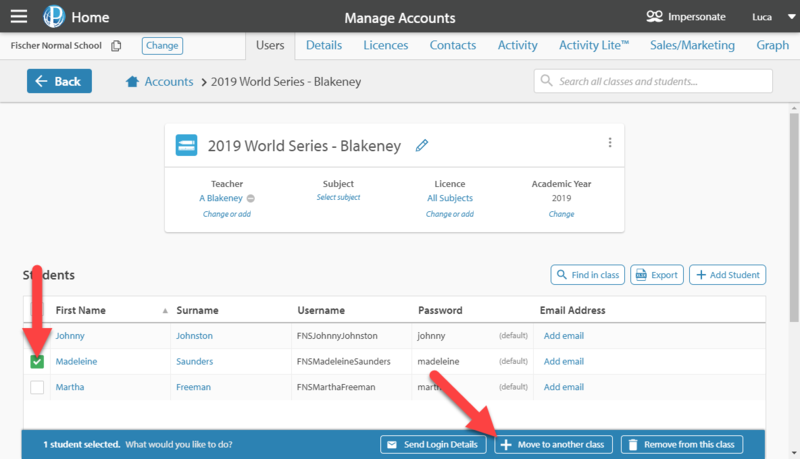 To move students between classes, click on Manage Accounts. Select the class the student is in and tick the box next to the student's name. A blue bar will appear at the bottom of the screen giving you the option to Move to another class. 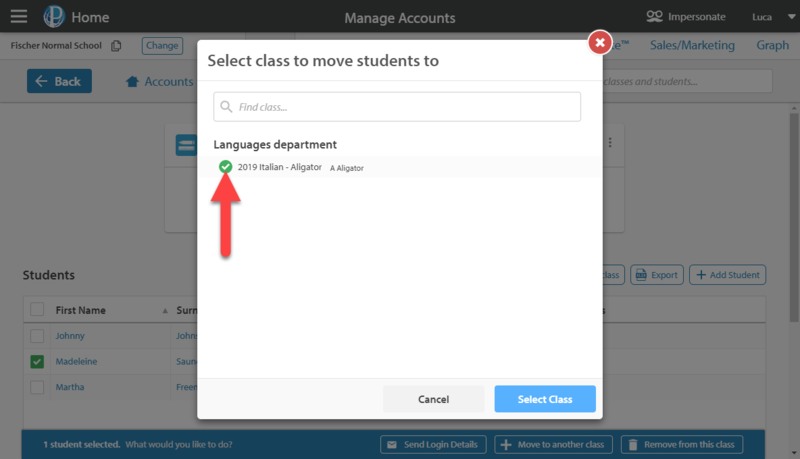 A pop-up screen will appear—Select class to move students to, choose the class and make sure to confirm this by clicking the blue Select Class option at the bottom of the pop-up. The student will now be moved to the selected class.